Heart failure patients often have trouble with thinking and depression. A new study by University of Guelph researchers explains why and points to ways to prevent and treat both heart and brain maladies through the emerging field of circadian medicine. 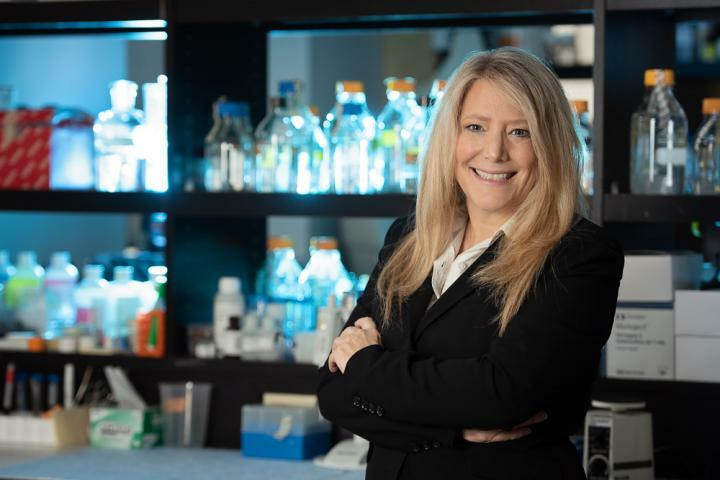 Published recently in Nature’s Scientific Reports, the study is the first to reveal how cognition and mood in mice are regulated by the body clock and how pertinent brain regions are impaired in heart failure, said Tami Martino, a professor in U of G’s Department of Biomedical Sciences and director of the Centre for Cardiovascular Investigations. “Neurosurgeons always look in the brain; cardiologists always look in the heart. This new study looked at both,” said Martino, whose work in the emerging field of circadian medicine is supported by funding from the Canadian Institutes of Health Research. She recently received a Mid-Career Investigator Award from the Heart and Stroke Foundation of Canada. Coronary heart disease, the most common cause of heart failure, causes one in three deaths in Canada, according to the Heart and Stroke Foundation. Human patients with heart failure often have neurological conditions such as cognitive impairment and depression, said Martino. She worked on the study with master’s student Austin Duong and PhD student Cristine Reitz – both co-first authors — and neuroscientists including U of G psychology professor Boyer Winters and biomedical sciences professor Craig Bailey. Circadian rhythms in humans and other organisms follow Earth’s 24-hour cycle of light and darkness, signalling when to sleep and when to be awake. Martino’s earlier research showed how disrupting circadian rhythms — as with shift workers, jet-lagged travellers and patients disturbed in intensive-care units — can trigger changes that worsen heart disease and impair overall health and well-being. Working with University of Toronto colleagues, the team also found differences in clock regulation of blood vessels in the brains of the clock mice. After inducing heart failure in mice to simulate human heart failure, they used microarray profiling to identify key genes in the brain that were altered in neural growth, stress and metabolism pathways. The results show that the circadian mechanism influences neural effects of heart failure, said Martino. Pointing out that no cure exists for the heart condition, she said understanding how the circadian mechanism works in the brain may lead to new strategies to improve patients’ quality of life. More generally, the findings point to potential health benefits for people in general. Avoiding shift work for people with underlying heart conditions or sleep disorders, reducing light at night or avoiding social jet lag (going to bed late and waking up later than usual on weekends) could all help reduce neurobiological impairments.